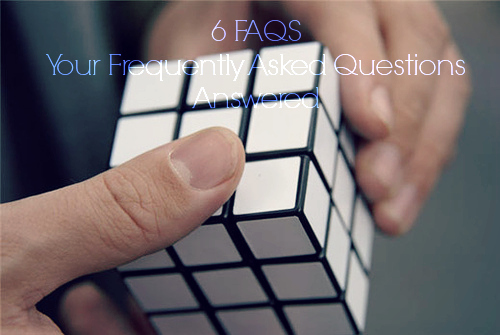 In this blog we are answering 6 of your frequently asked questions in detail. Please remember that every case and every story is different and unique. You should not compare your situation to anyone else’s. We hope that our answers will provide you with further guidance on your immigration journey. For any further questions please visit our website or call our office for a free legal consultation. We thank you for your continued trust in our law office. Q: I have my green card and I can file for citizenship in the near future but my marriage is not working and I am trying to figure out my options. A: The first question our office would have for you is whether you have a conditional 2 year green card or a 10 year green card? If you have a conditional 2 year green card you must apply for the I-751 removal of conditions application in order to receive the 10 year green card. It is possible to file the I-751 application for removal of conditions, even if you are now separated and in the process of dissolving the marriage or if you are legally divorced. This is called seeking a waiver of the joint filing requirement for the I-751 removal of conditions application or what is typically referred to as the I-751 waiver. In order to do so, you will need to indicate on the I-751 Removal of Conditions Application that you are seeking a waiver of the joint filing requirement. To file for an I-751 Waiver you must be presently separated and in the process of dissolving your marriage or already be legally divorced. Filing for a waiver of the I-751 is very detail-oriented and a very time consuming process, given that the applicant needs to prepare a detailed personal statement providing a detailed timeline of the relationship from beginning to end, as well as detailed information regarding why the marriage broke down and the applicant’s plans for the future. In addition, the applicant must be prepared to provide documented evidence that the marriage was entered into in good faith and the relationship and marriage was bona fide. You should definitely seek the help of an accredited legal representative to assist you in order for your application to be successful. If you already have the 10 year green card, you cannot apply for citizenship until at least 5 years have passed from the date of becoming a permanent resident. If you have any arrests or other criminal history you must consult with an attorney or accredited legal representative. We would be happy to assist. For more information on the I-751 please see our guide to applying an I-751 waiver here. A: This is a very common question that our law office receives. If you were a victim of violence or if you were a victim of verbal or psychological abuse you may be able to adjust your status through the Violence Against Women Act. You should consult with an attorney to determine if you are a suitable candidate and whether you can go forward with the application. You should consult with an attorney as soon as possible. In order to do so you must file Form I-360 and provide documented evidence of the abuse including affidavits where possible. The process of applying for an I-360 under VAWA is very invasive. The applicant will need to prepare a detailed declaration, be prepared to undergo a psychological evaluation, and polygraph test if the attorney deems it necessary taking into account the available evidence. If you believe you are a suitable candidate to apply for VAWA you should consult with an attorney as soon as possible. If you attend the I-485 interview without your spouse, the US Citizen, and do not intend on filing for I-360 based on VAWA, your application will be denied. If you intend on applying for I-360 based on VAWA and feel that you can provide the evidence necessary to apply, you should still attend your I-485 interview and explain your plans to file an I-360 based on VAWA to the interviewing officer. You must also request that the officer hold your I-130/485 application for permanent residence in abeyance while your I-360 application is being prepared, otherwise you will need to re-file a new I-485 application once your I-360 is approved. In other cases filing for a nonimmigrant visa may be possible however you must be sure to file for the nonimmigrant visa while you are still residing in the United States legally. If you are now in the United States illegally, you cannot apply for a nonimmigrant visa. A: Our first question would be whether you are presently residing in the United States legally on a valid visa or if you are residing in your home country. Secondly, there are several options to adjust your status to permanent resident (green card). If your child is born abroad and is the child of a US citizen you must legally marry and file a consular report of birth abroad with the consulate near you. A child born out of wedlock may not receive this privilege. A child with a consular report of birth abroad receives the same privileges as a child born in the United States. Q: I am trying to get a Family Visa for my Girlfriend and her son. Looking for some real assistance to get this done. A: You can file for I-130 consular processing for your girlfriend and her son, however this would require you to marry your girlfriend. The processing time for I-130 consular processing takes approximately 7-10 months. If your girlfriend and son are currently residing in the United States with you on a valid visa it may be possible for them to adjust their status. Please contact us if this is the case. Q: My wife is an American citizen she filed for my green card. But she went to jail and my interview is at end of this month. What should I do? A: You will need to attend your I-485 interview and request for the interview to be held in abeyance until your spouse is released if she will be held in custody for a long period of time or request for the interview to be rescheduled if she will be released soon. You should keep documented evidence of your relationship throughout this period of time. You will need to prove that you have a valid bona fide relationship and that the marriage was entered into good faith. Q: I would like to know if a previous misdemeanor of mine would affect me applying for a permanent residency through marriage. A: Most misdemeanors do not affect your application for permanent residency through marriage to a US Citizen. Crimes of moral turpitude and aggravated felonies may affect your application for permanent residency. In order for us to provide you valuable legal advice we will need to review your criminal records received from law enforcement or the court. You must also have the originals of these records for the interview stage of your application.